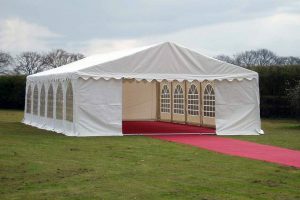 6m x 8m PVC 650gsm Marquee. 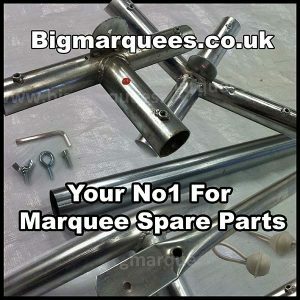 50mm Dia Steel Galvanised Poles. 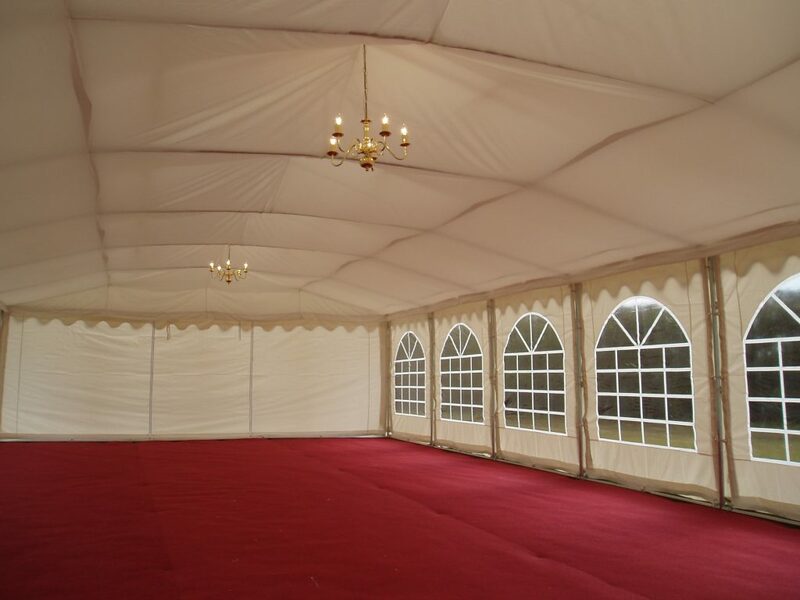 High Quality Fully Commercial Marquee. 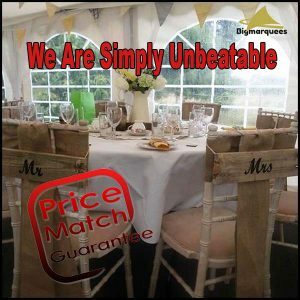 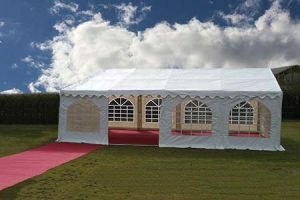 We are confident that our structures are the highest quality 650gsm PVC marquee for sale in the UK. 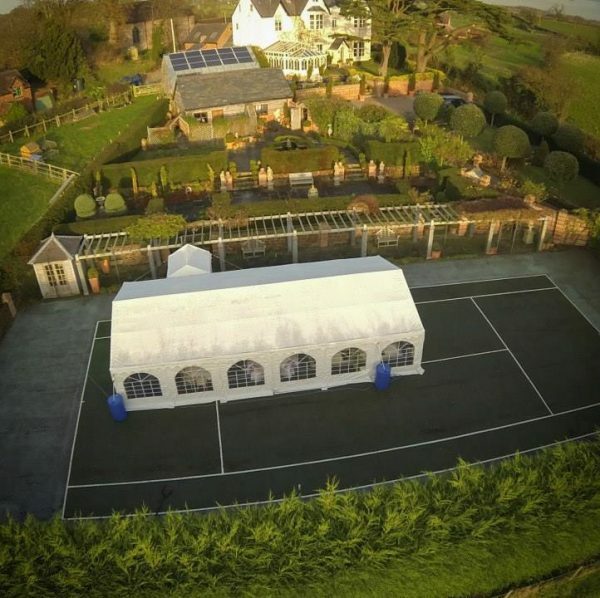 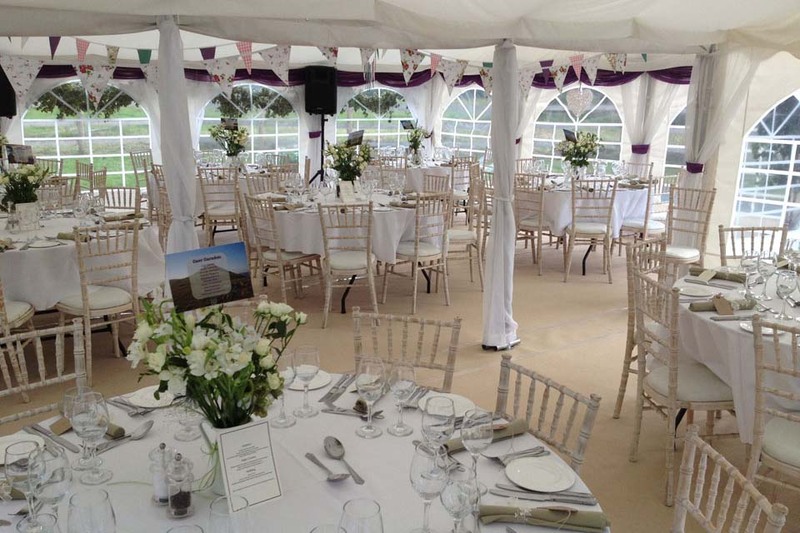 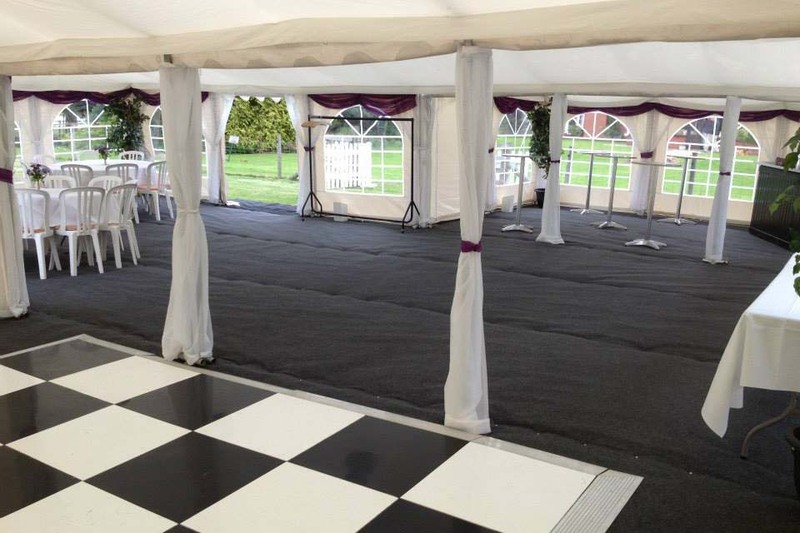 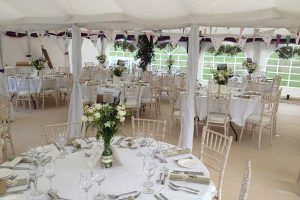 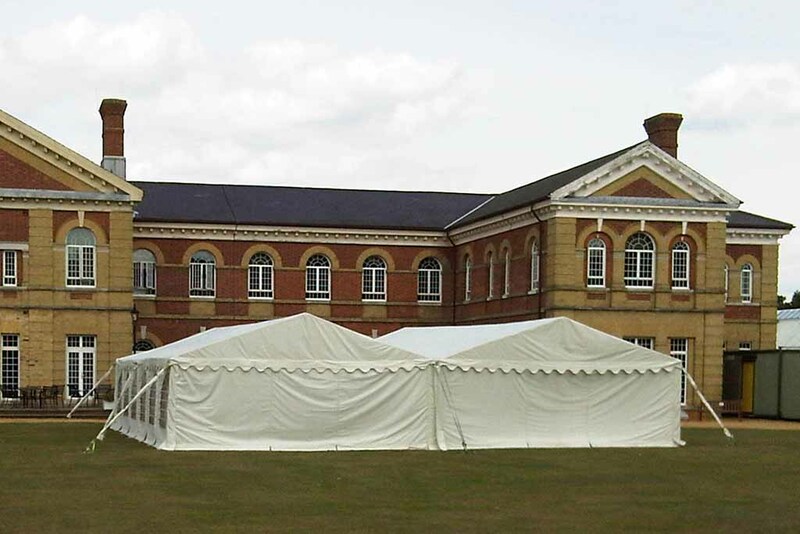 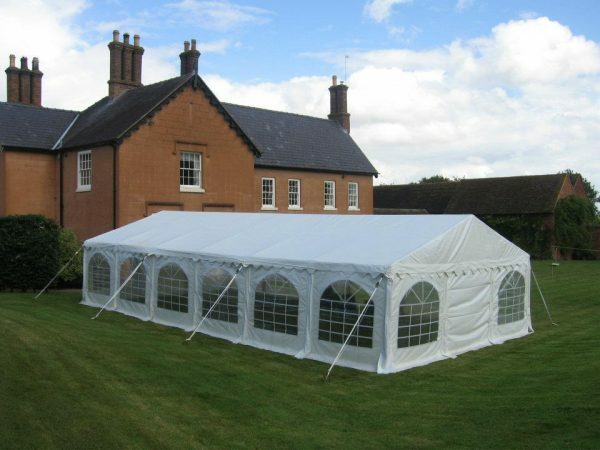 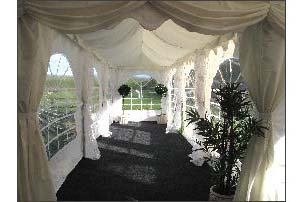 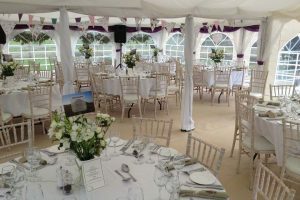 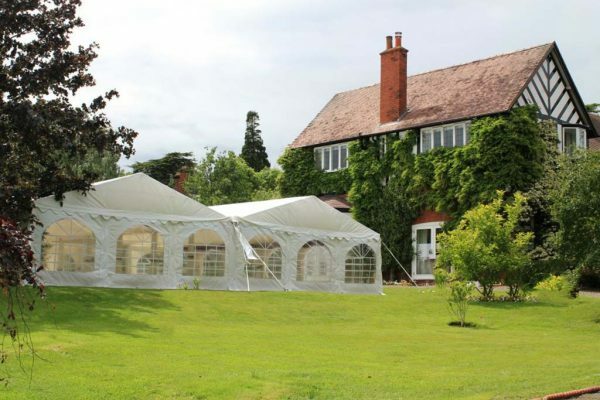 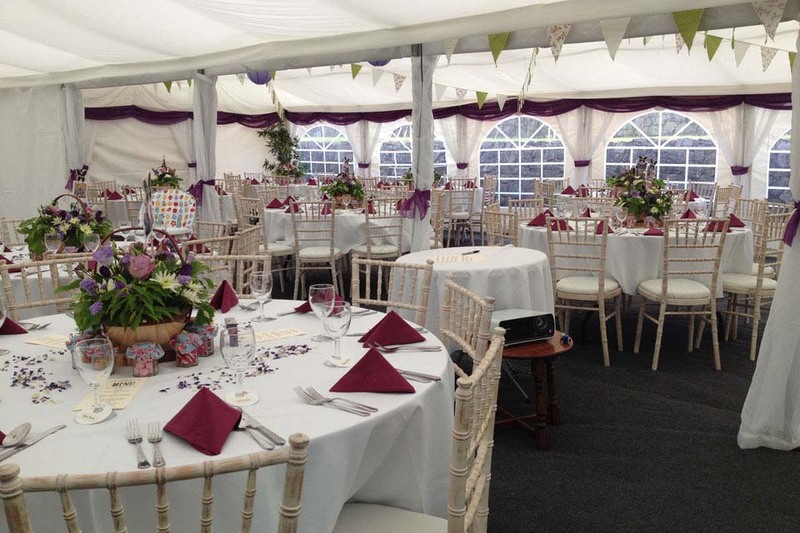 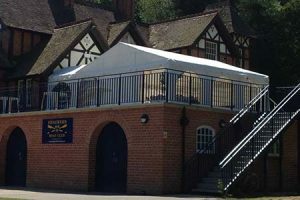 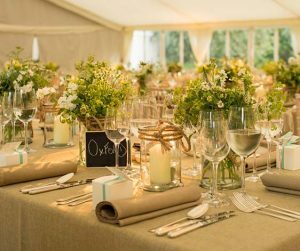 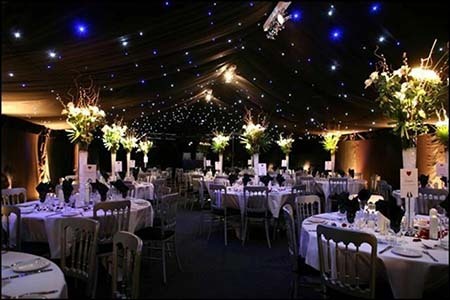 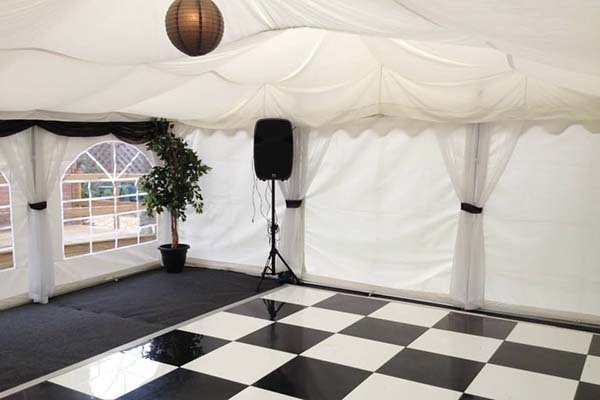 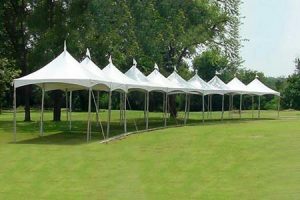 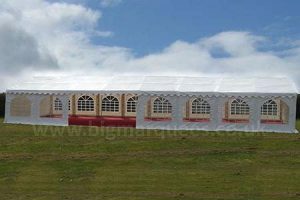 Fire Retardant – We always use Belgian PVC marquee covers which are Flame Retardant to BS5438 & BS7837 in Ivory 650gsm Rip Stop PVC on the roof and sides of our marquees, with welded (not sewn) seams because this provides total waterproofing along the joins. 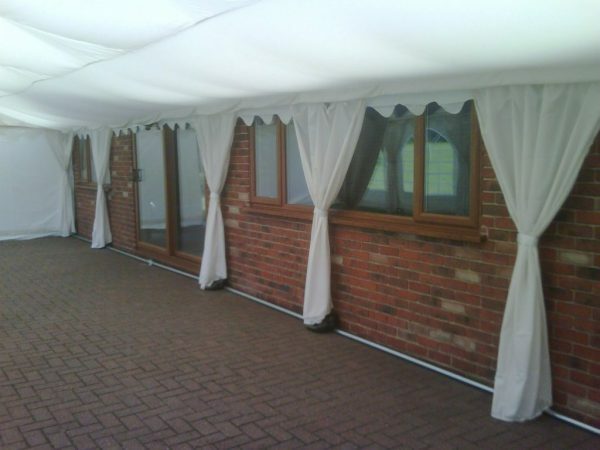 Georgian Windows – We have True Georgian rounded window side panels which are 2.3m x 2m and are individual panels (4 for each side) which attach to eaves leg and ground bar poles with bungee ties because this allows the panels freedom of movement in strong gusts of wind which intern prevents splitting and ripping of the panels but these are all attached together and waterproofed with the leg covers. 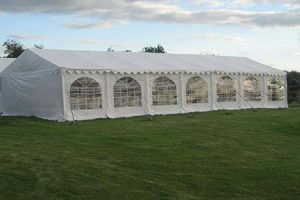 Re-Enforced End Gables – Our end gables are made up of 3 individual 2.3m x 2m plain panels incorporating a non structural pole support between each panel for added strength in the wind, one of the plain panels at each end has zips incorporated so that the panel can be used as a door, all panels and support poles can be removed individually or completely. 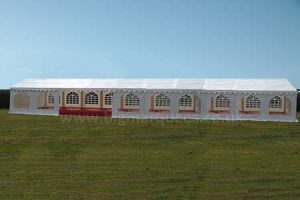 Frame : 50mm / 56mm Galvanised strong steel tubing bolted secure, eaves braces vertical & horizontal, roof braces, end gable support bracing – with 3 separate 2m panel gables. 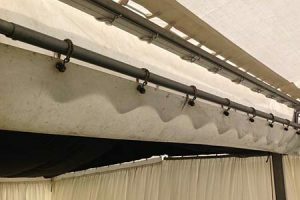 Sidewalls: 650gsm, Fire retardant rip stop PVC, with the option to roll up or remove individual 2m panels. 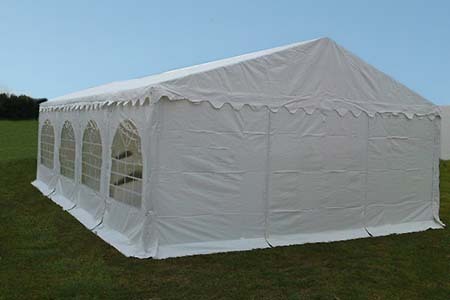 Fire Retardant to: BS 7837:1996 – BS5438:1989 Test method 2B with welded seams, 100% wind & waterproof. Roof: 650gsm, marquee roof is in one complete section, similarly BS fire retardant rip stop PVC. 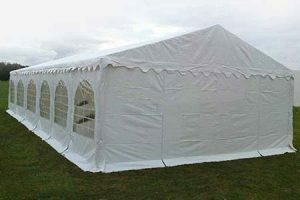 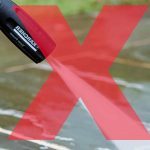 Also with welded seams, 100% completely wind & waterproof. 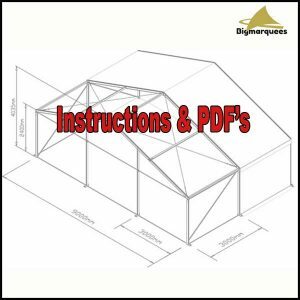 Easy to transport and easy to store. 2.3 m eaves for extra head height in entry & exit. 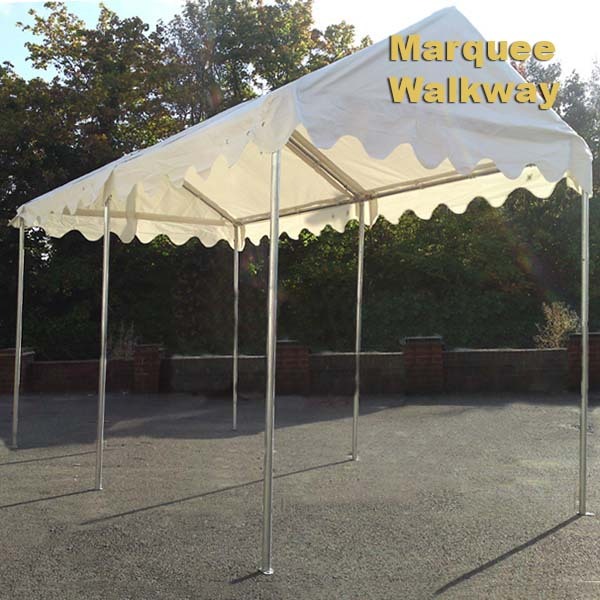 Extremely Sturdy and able to be left up for long periods. Highest Quality 6m x 8m PVC 650gsm Marquee for Sale in the UK.